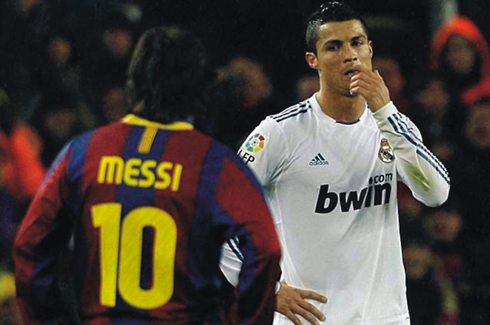 ﻿ Lionel Messi: "I'm not competing against Cristiano Ronaldo"
16.08.2012 » Lionel Messi: "I'm not competing against Cristiano Ronaldo"
Lionel Messi granted an interview to the popular Argentinian newspaper "Olé", on which he claims that he's not competing in any sort of personal duel against Cristiano Ronaldo and that what drives him is the desire of helping his teams to win trophies and obtain success. 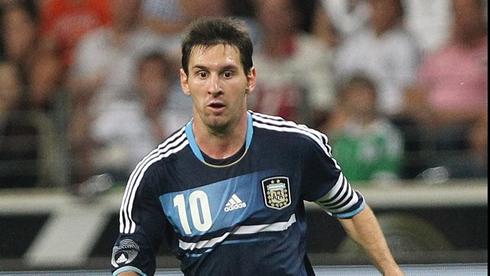 The Argentinian star also noted that he doesn't have a relationship with Cristiano Ronaldo, just like he doesn't have with many other players who don't play on the same team as him. 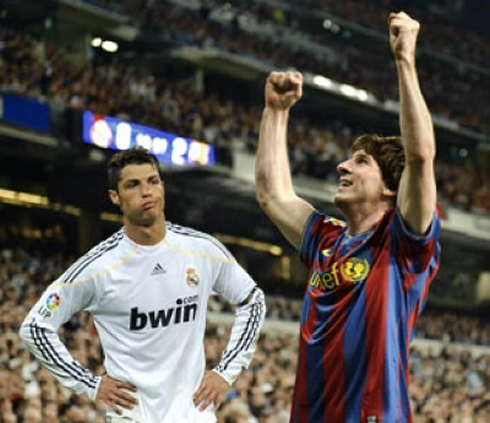 As for the "Messi, Messi" chants that Cristiano Ronaldo is often victim of across several stadiums around the World, the Barcelona forward remembered that he's not the one who organizes them, and that there's nothing he can do about that issue. 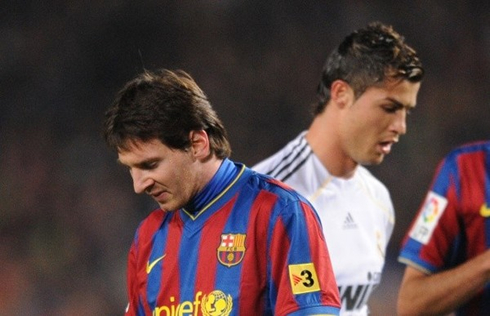 Messi: "I respect Cristiano Ronaldo, but the truth is that I have no relationship with him, just like I don't have with many other players in this sport. Basically, we just see each other on the football pitches. Naturally, it doesn't happen the same with my club and country teammates, as I am very close to them", started by pointing out the Barcelona's all-time top scorer. 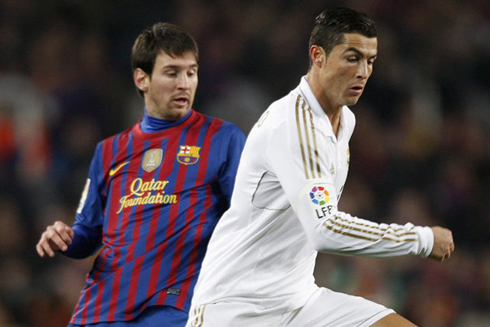 Over the last seasons, both Ronaldo and Messi have been breaking several all-time records, club and world-wise. 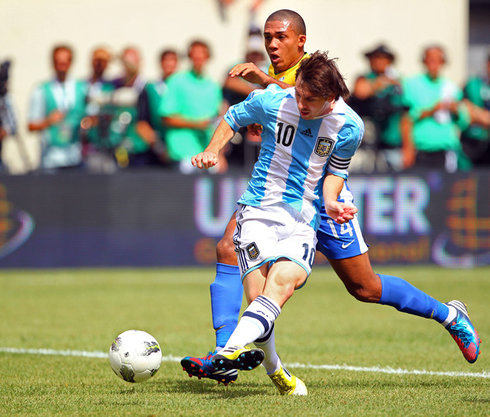 The idea that this virtual rivalry is actually forcing the two players to raise their level season after season doesn't seem very senseless, however, Messi doesn't agree with this line of thought, as he believes that the main force behind his development as a player keeps being his motivation towards his team's objectives. 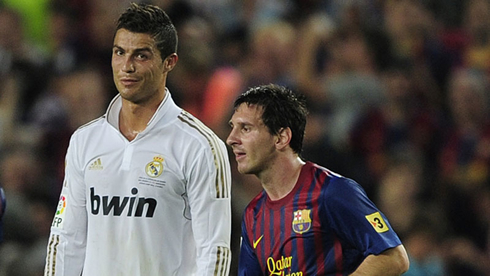 Lionel Messi: "People have to realize that I'm not competing against Cristiano Ronaldo on a personal duel, or anything like that. All this pretense rivalry is being fueled by the media, the newspapers and everyone who profits from sending out the idea that we have some sort of a conflict to settle. I have never competed or fought against Ronaldo. I just try to do my work the best I can, hoping that things go well. 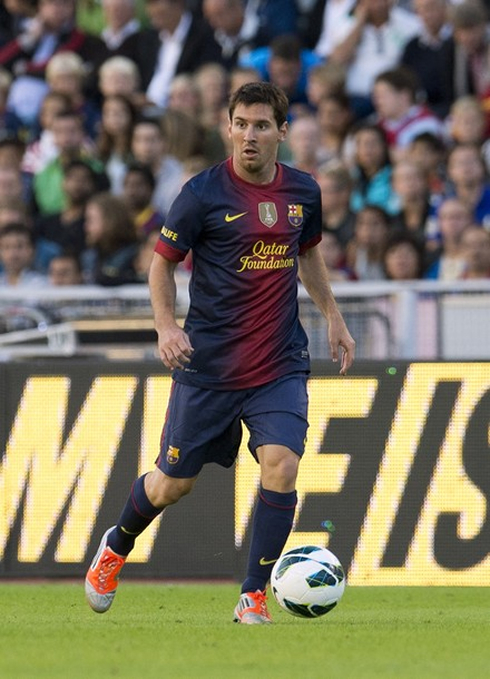 My focus is to always help my teams winning trophies and that's it", remarked "La Pulga" (one of Messi's nicknames). 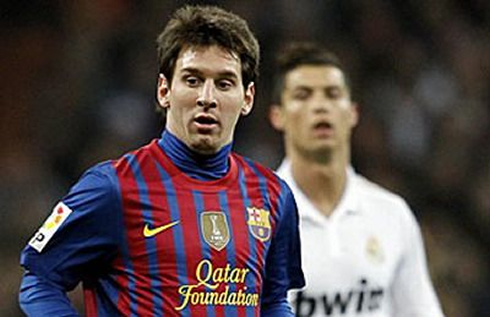 Regarding those emerging incidents that we've all been witnessing over the last couple of years, where a significant amount of people in the crowd decide to start shouting "Messi, Messi" chants, during games where Ronaldo is playing for either Real Madrid or Portugal and where Messi isn't present, the Argentinian prefers to defend himself and says that he has nothing to do with it. 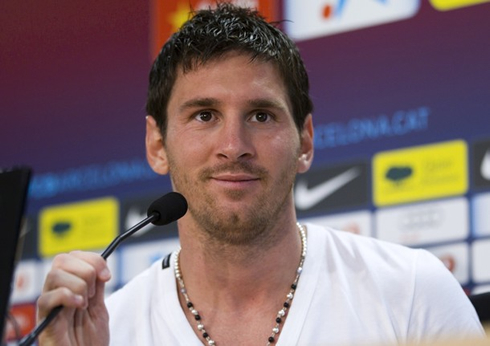 Lionel Messi: "I can only say that I am happy with the way fans treat me in every stadium. Obviously, I'm not the one organizing those chants and there's simply nothing I can do to prevent or stop them. I don't have anything to do with it and therefore I don't want to comment it. 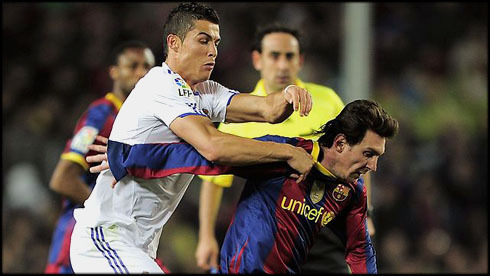 I've never been in that situation and I can't know what Cristiano Ronaldo feels when it happens...", stated the Argentinian star when addressing the issue of Ronaldo being provoked with chants invoking Messi name. 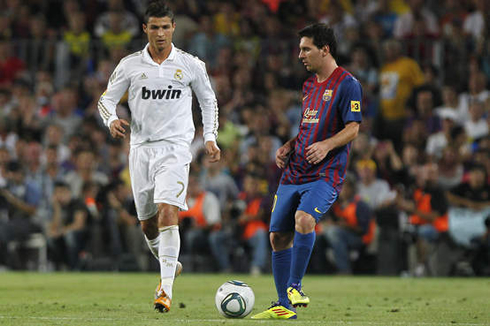 As for the FIFA Balon d'Or 2012 award, set to be delivered on January 2013, Messi assures that it would make him very happy to see one of his Barcelona's teammates winning it. However, the Argentinian recognizes it's still a very open race and that Real Madrid players like Cristiano Ronaldo or Iker Casillas can also have a say on this matter. Messi: "I would be delighted if the winner ends up being one of my teammates from Barcelona [Xavi Hernandez or Andrés Iniesta], who have been winning important trophies at international level, such as the European Championship in 2012 and the World Cup in 2010. However, there are obviously other strong names on the list as it is the case of Cristiano Ronaldo, who is a great player, and also Iker Casillas. 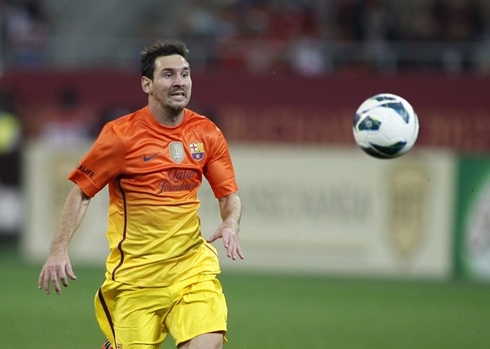 My preference lies on Xavi and Iniesta though, since they are both good friends of mine", stated Lionel Messi.